YouTuber of Custom Minecraft Adventures, Survival, etc. This LEGO pirate also lost his limbs — a strange ninja octopus took his legs. So he turned his cannon into a motorized scooter and zips about. 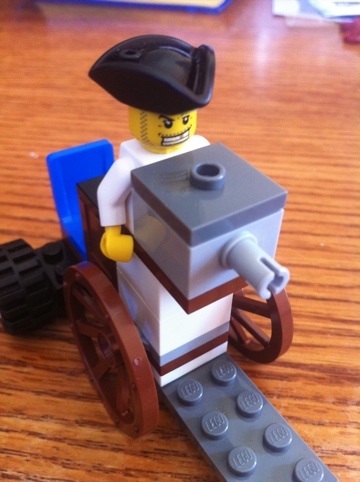 This entry was posted in LEGO Designs and tagged lego, minifigure, pirate by Alexander. Bookmark the permalink.